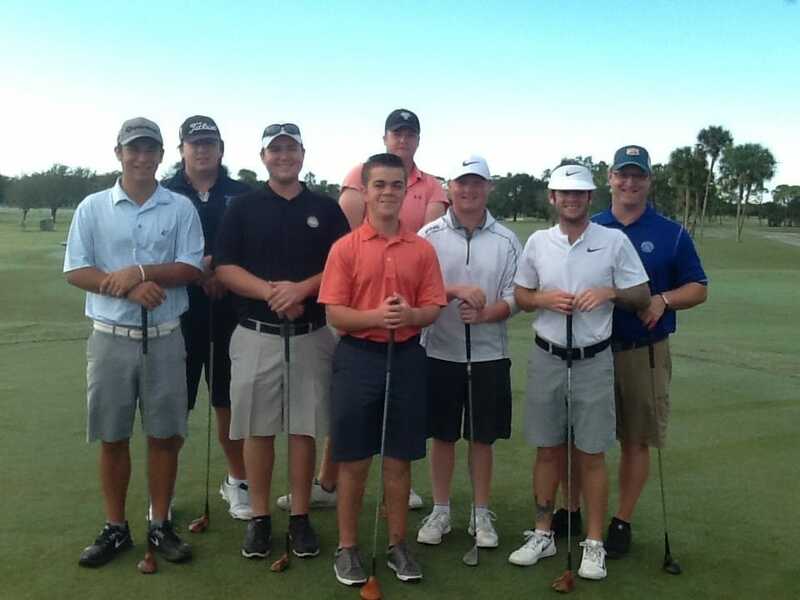 College of Golf students in Professor Ken Martin’s History of Golf class recently participated in a scramble golf tournament using persimmon woods and blade irons. The students were provided golf clubs from the 1960’s and 1970’s to play The Squire Course at PGA National Golf Club. The team of Brennen Gillis/Christian Brown/Robert Stingo were victorious with a score of 3-under par. Two teams tied for second place at 2-under par: Ed Doherty/Andrew Abbott/Daigan Robichaud and Winston Crozier/David Geers/Dima Koba. James O’Hara/Jay Jay Howard/Daniel Stokes finished in 4th place at 1-under par. The opportunity to use golf clubs from half a decade ago gave the students an appreciation for the skills and abilities of golf’s greats of the era. Champions such as Jack Nicklaus, Arnold Palmer, Gary Player, and Johnny Miller all shot incredible scores and won major championships using these golf clubs. 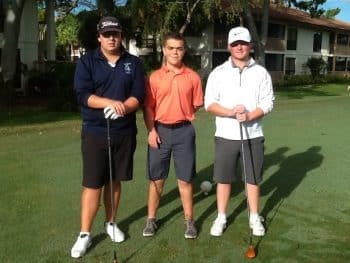 In Keiser University’s History of Golf class, students have had the opportunity to play golf clubs from the 1920’s forward to compare to today’s technology and realize how far golf club development has come.